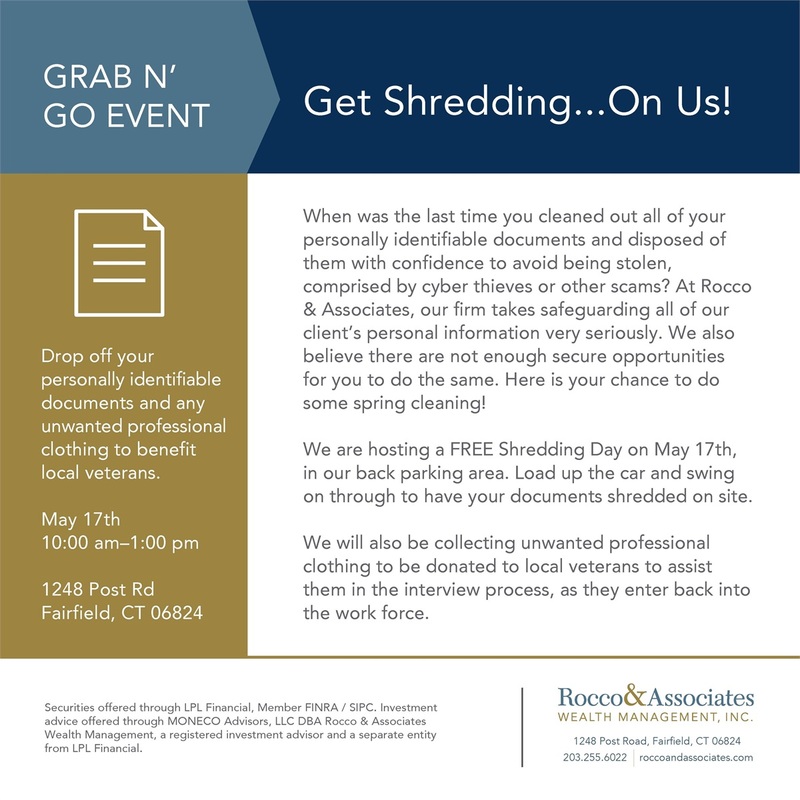 Around The Office - March 2019 | Rocco & Associates Wealth Management, Inc. 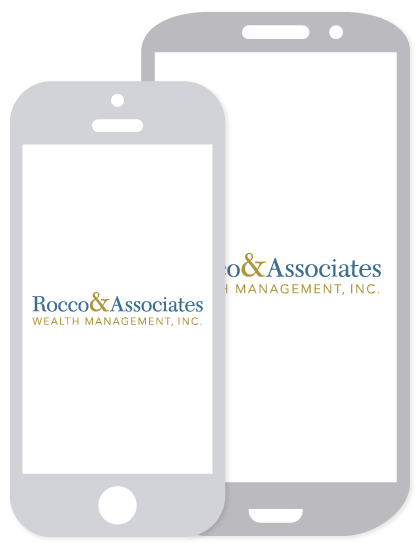 Many of our clients’ largest assets sit within their company sponsored retirement plans. These plans, whether they be a 401(k), 403(b) or a Simple/SEP IRA, often offer a matching component. For example your employer could match the first 3% of salary that an employee contributes into the plan (pre-tax). Therefore if you put in $3.00 and the company matches that $3.00, you have a total of $6.00, or a 100% increase in the contribution! As financial planners, there are not too many investments out there that can produce this type of return. Outside of having an emergency fund and eliminating credit card debt, we highly recommend that our clients take advantage of company sponsored retirement plans and at minimum, attempt to contribute at least up to the match.This March, we highlighted the importance of Retirement Planning and the resources our existing clients and friends have access to through our firm. If you, or someone you know, have not sat down recently to discuss a long term retirement plan, we encourage you to give the office a call to get you back on track today! The firm recently announced that it will again be sponsoring a team within the Fairfield American Little League. This will be the fourth season that the firm will be supporting this ever popular town program and is just another way we continue to give back to the community we have been fortunate enough to operate in over the past 40 years. Our own COO Eric Johnson will again be a volunteer coach where he gets to witness firsthand how excited and appreciative these young kids are when they take the field. 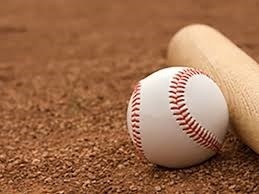 Fairfield American Little League (FALL) is open to all kids born between May 1, 2003 and August 31, 2012 (Little League ages 5-13 years old), who live within the Dwight, Mill Hill, Osborn Hill, Riverfield and Sherman school districts.